That end bowl alone looks like the hell time let alone the outside barrel. Too choppy to hit the high seas in the SS Sea wok. Meanwhile -Sally Fitz fighting for a title in a round 2 in pristine Honolulu. Four minutes to go, one wave ridden in a title-deciding heat?! And a safety surfed wave at that. Very slow....but you should see the shite on offer here today. I'd bob around out the back for hours if it meant a shot at a wave like that. But if you're questioning the choice to run such an important heat in such slow conditions, then I agree. The WSL should do something about those inconsistent heats, maybe build a machine of some sort that negates the whims of mother nature. "The ocean is really affected by rain. When it pours it just stops." Just tried to tune in. 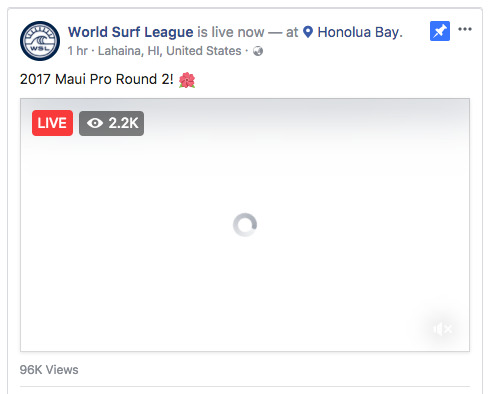 Can't watch on the WSL website, because last time I tried it would only allow desktop users with Flash to watch live events - no HTML5 fall back option (incredible in this day and age). So for the last few months I've tuned in occasionally (ten minute bursts) on Facebook. Not great, but it's kinda OK. 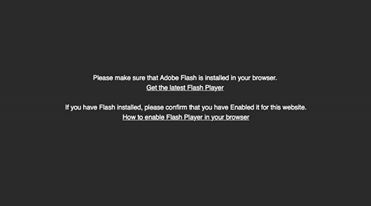 Certainly don't hang around anywhere near as long as I do on the website (or the TV App, which I use when at home). 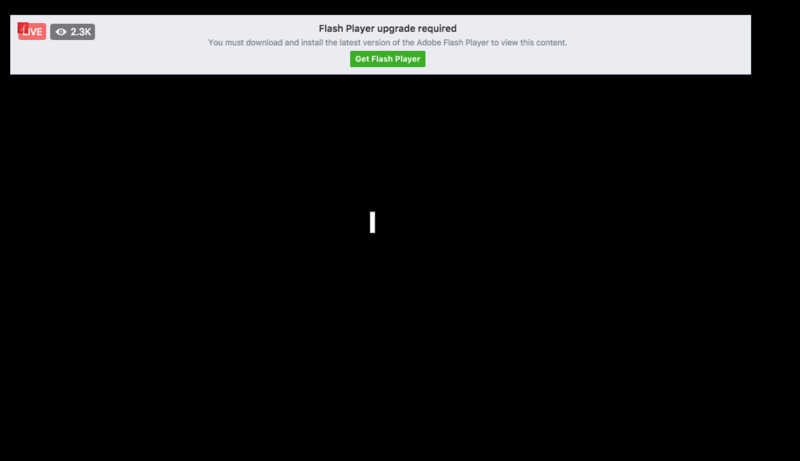 And when I expanded the view, it showed why: Facebook is now asking me to upgrade to Flash! Sorry folks, not happening here. - If Fitzgibbons finishes 5th or lower than Wright needs at 5th, Conlogue a 3rd, and Moore and Gilmore need to win the event to claim Title. Theoretically all five can still win, though Sally's chances must have dropped considerably after losing her Round 2 Heat to Hawaiian wildcard Brisa Hennessy. I'm gunning for a Carissa upset, especially with some good swell on the way. Sylvana Lima should be on the 50 most interesting surfers list. But I guess the fact that I need to tell people this is self evident of the fact that she's not that interesting despite the compelling back story to her career. And the fact that she's smashing functional airs whilst her fancied rivals are on coached and documented surf trips to lift their progressive game from craptacular to marginal . Oh well, she sold her house to fund her QS campaign ! "The WSL should do something about those inconsistent heats, maybe build a machine of some sort that negates the whims of mother nature." Some times it's an unwatchable , crying shame . But that's the ocean and that's surfing. Occasional Honolua Bay smashes regular hot tub. Mother Nature can be a cruel mistress at times. Huey giveth and Huey taketh away. Wouldn't love the bugger if he was any different. Question - Aside from rewarding pure desire , does Sally deserve a world title ? A more important question: Is the existence of Kelly's hot tub proof that Huey doesn't exist? Huey obviously created this false idol to distract those without faith that claim a place amongst his flock. I wouldn't be at all surprised if he waited till the blasphemous Gomorrah of Lemore was mid Jack Johnson concert at the climax of the WCT Hot Tub hoedown and he drove forth a mighty tsunami of righteousness to wash the whole thing from the face of Gaia's Earth . It's pumping!! Man looks soo fun! Righto, this is it. If Tyler Wright wins this heat against wildcard Brisa Hennessy (who knocked out Sally in Round 2), she wins the World Title. Its in the bag....yeeeeewwww go Tyler! Tylers second wave looked one like one of the most fun ive seen..